For brands selling their products on Amazon , the best course of action for brands to protect its intellectual property is to have it trademarked and enrolled in Amazon’s brand registry program. Having your brand trademarked and enrolled in the Amazon Brand registry program gives you protection against unauthorized sale and use of your brand’s name and its products. It also grants you access to powerful Amazon tools like proprietary image and text search, predictive automation and increased authority over listings associated with your brand. We at SellerLift understand that many of you don’t have time to go through all the paperwork, and the legalities needed to have your brand trademarked. Don’t worry though, as we have you covered. 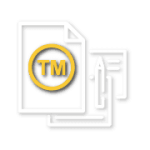 For a one time fee, we will take care of the entire trademark registration process for you! Our legal department will handle all the paperwork needed to get your brand registered at the earliest. If you want more information on how we can help protect your brand, go send us an email. We would be more than happy to answer any of your inquiries. Federal Trademark Application filed by Trademark Attorney. Attorney will respond to and overturn non-substantive Trademark Office Actions (rejections) for free. Attorney will be at your disposal to answer your questions by phone or email at any point in the process. Comprehensive conflict search of USPTO trademark registry plus federal and state common law performed by attorney. Legal opinion on odds of success of your trademark. Free second search and opinion on a new trademark if you choose not to proceed with proposed trademark.